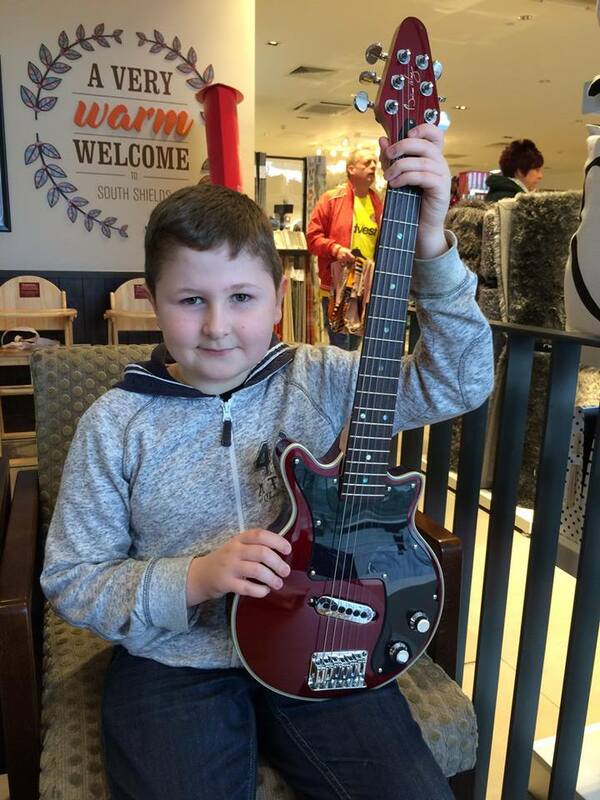 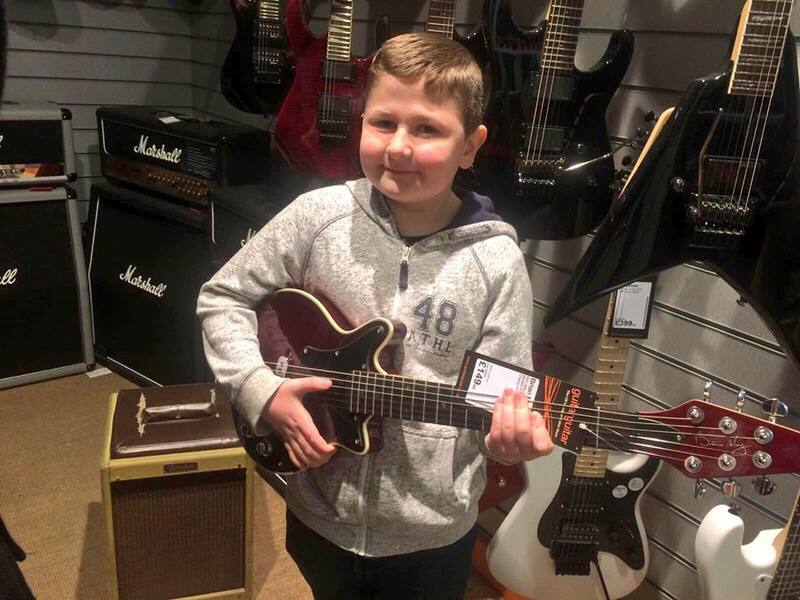 This week Charlie bought the new updated Brian May 'Mini May' electric guitar. A small version of famous Queen guitarist Brian May's famous Red Special guitar. Advertised as a travel guitar but ideal for young guitarists the guitar has a 18 fret neck and a Brian May trisonic single coil pickup.